Mastering online or at the studio. Professional mastering and CD mastering online. Here we post about the professional mastering techniques for online mastering of audio. Mastering is the final process in post production before the audio is sent off for duplication. It is considered by many to be the most important step. Mastering engineer Howie Weinberg describes it as “Photoshop for audio.” This is an accurate statement as the process uses a variety of tools to enhance the recording to be as good as it can be. It needs patience and a meticulous ear for audio as the tiniest of adjustments can impact greatly on the final sound of the master. Moderation is key! Each engineer will have their own way of going about mastering however, they will all use the same kind of dynamic processing tools; EQ, compression, limiting, noise reduction and dithering to name a few. 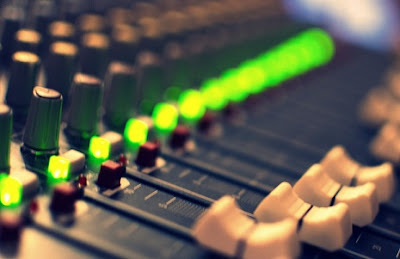 Unlike mixing which involves processing each individual track or instrument so that they fit together neatly in the stereo field, processing in the mastering stage is applied to everything. The first step involves transferring the final mix into the preferred DAW (Digital Audio Workstation). The industry standard as always is Pro Tools, however there is a handful of software such as SADiE, Pyramix, Sequoia that have been written with mastering in mind. There aren't great differences between the DAWs, it is mostly dependant on the engineer's preferences. After that the “silence” between each track is edited. 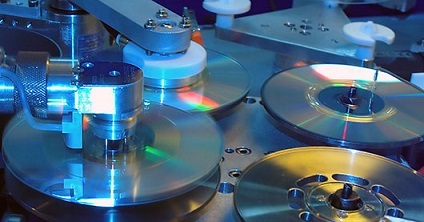 As CD players take a small amount of time to unmute after skipping a track, it is vital that there is a gap (around 300ms) of silence at the beginning so that the first transient of the song is not cut out. The next stage is the most important and time consuming. It is the dynamic processing or “sweetening” of the audio to maximise the sound quality. This is done using the processing tools mentioned earlier. Equalization is applied in small amounts to balance the track. It is important that each frequency band is balanced with the rest so that they are complimenting each other rather than fighting for space. Compression is used to add punch and warmth to the mix as well as loudness. In mastering, a Multiband Compressor will be used. It does the same job as an ordinary compressor however it allows the engineer to compress sections of the frequency spectrum which makes it all the more accurate and efficient. Limiting will allow the loudness to be pushed further without peaking or clipping. Compression and limiting must be used in moderation, an overly compressed track that has been pushed too far will be left with a small dynamic range, making it sound flat and dull. The final stage in the “sweetening” chain is Dithering which is simply the application of a low level random noise if the audio is truncated. Truncation describes the reduction in resolution of audio i.e. from 24-bit to 16-bit. When this happens, the sound quality is diminished as the extra 8 bits are lost. By adding random noise, it helps in masking the distortion produced by truncation, making the many short-term errors much less noticeable to the listener. This is a very powerful tool should always be applied before truncation! Once all of these steps are complete and both parties are happy, the final master can then be transferred to the final format (CD-ROM, half-inch reel tape, PCM 1630 U-matic tape, etc.) From this the song or songs can then be duplicated. The success of mastering relies heavily on the monitoring and listening environment in which it was mastered. The better the speakers, the more detail is heard therefore the greater the accuracy. This goes for the processing tools used as well, professional standard EQ, compression and limiting help greatly in achieving a finer sound. This is why a professional recording studio set up is desirable. Mastering can be thought as the final push in highlighting what's great about a track or album. By carrying out each step correctly, it can make a good piece of audio into something well polished, professional sounding and marketable! Click here for more details about how our music studio can help you with your audio mastering! THE BEST PRICES IN OXFORDSHIRE!! CLICK HERE TO CHECK OUT OUR MASTERING SERVICE ONLINE! CLICK HERE TO CHECK OUT OUR RECORDING STUDIO! We offer audio recording through Pro Tools HD11, GSSL mix bus compression, Neve summing AND AMAZING PMC226 monitoring. We have three acoustic spaces for recording audio including Oxford's largest drum room. Recorded audio is mixed and mastered through pro-analogue gear and dedicated plugins from Waves, UAD, fabfilter as well as many other companies. Music recordings as well as spoken voice recordings can be edited and the audio enhanced professionally using this equipment. We offer Source Connect to link studios around in different cities (or even around the world!) to the Oxford studio. Our studio offers professional digital restoration to restore any audio in any format to its highest fidelity. Our clients are UK wide and our restoration has been used by the judiciary. We have a mobile recording rig that can record your event live as it happens. A wide range of microphones to hire, a choice of drum kits and PA equipment right here for hire in Oxford.